Energy, medicine, food and agriculture, industry: these are just a few of the sectors that are positively impacted by nuclear energy and technology. 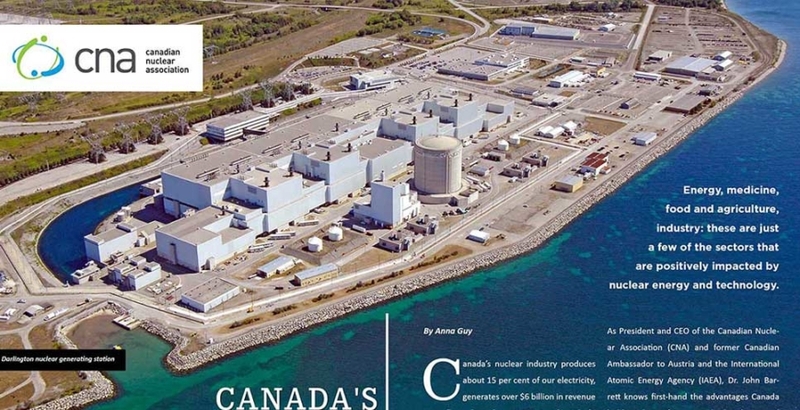 Canada’s nuclear industry produces about 15 per cent of our electricity, generates over $6 billion in revenue annually, and employs 60,000 people with direct and indirect jobs. While these numbers are impressive, they only scratch the surface when it comes to nuclear’s contribution—and potential contribution—to Canada. As President and CEO of the Canadian Nuclear Association (CNA) and former Canadian Ambassador to Austria and the International Atomic Energy Agency (IAEA), Dr. John Barrett knows first-hand the advantages Canada holds in the nuclear arena, both at home and abroad. Armed with this knowledge, he advocates for continued investment in nuclear to government, international organizations, policy think-tanks, business leaders, academics, and the general public. 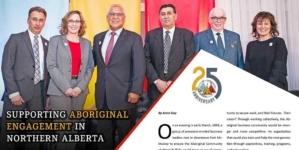 A non-profit organization established in 1960 to represent the nuclear industry in Canada, the CNA represents approximately 100 member-companies from across the country. 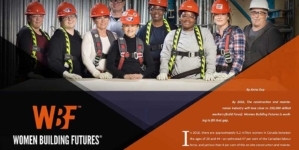 These are women and men who mine and process uranium; design, build and operate nuclear reactors; specialize in engineering, manufacturing, and research and development; and are involved in consulting, training, staffing and insurance. The CNA works alongside its members and all communities to promote the industry and work with governments on policies affecting the sector and to increase awareness and understanding of the value nuclear technology brings to the environment, economy and daily lives of Canadians. In order for Canada to meet its GHG emissions targets, it must continue to invest in low-carbon sources. 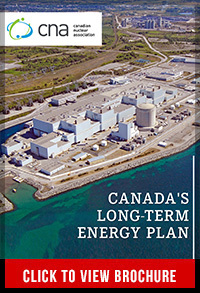 The CNA is pleased with the Government of Ontario’s nuclear refurbishment investment. At over $25 billion, it is the largest clean-technology investment in the country and will provide clean electricity for another 30 to 40 years, supporting increased deployment of renewables and further reducing our reliance on fossil fuels. Continuing operations at Pickering to 2024 alone will avoid eight million tonnes of GHG emissions, which is equal to taking 490,000 cars off Ontario roads. “Beyond clean energy, investments in nuclear energy help to ensure stable electricity rates for the future. Nuclear is among the most affordable energy source available. 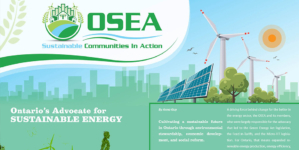 In 2018, Ontarians are paying 7.7 cents per kWh for nuclear energy, versus 15.9 cents per kWh for wind, 18.8 cents per kWh for natural gas, and 51.3 cents per kWh for solar,” adds Dr. Barrett. Another application that shows great potential in tackling domestic challenges comes in micro reactors, also known as Small Modular Reactors (SMRs). 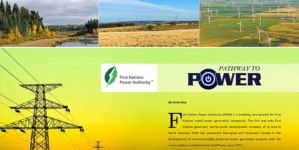 Communities, especially those in Northern regions, could use SMRs to lessen their dependence on generators and diesel within the next 10 years. The benefits of the nuclear industry are far-reaching. Nuclear technology contributes to nine of the United Nation’s 17 Sustainable Development Goals (SDGs). These goals were designed to ensure the prosperity of developed countries and improve living conditions in developing countries by 2030. “Nuclear is helping by irradiating food so it’s safe to eat, purifying wastewater, diagnosing and treating diseases, and so much more,” says Dr. Barrett. The role that nuclear plays in the medical field alone is both impressive and vital to our global well-being. Every year, nuclear medicine is used to treat cancer and other diseases for 40 million patients around the world.